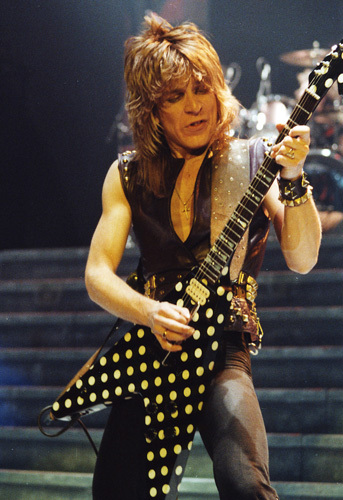 One of the world's greatest and most influential guitarists ever born and lost way too early, Randy Rhoads is an icon. We replicate several of his straps, and this gorgeous strap is one of our favorites. 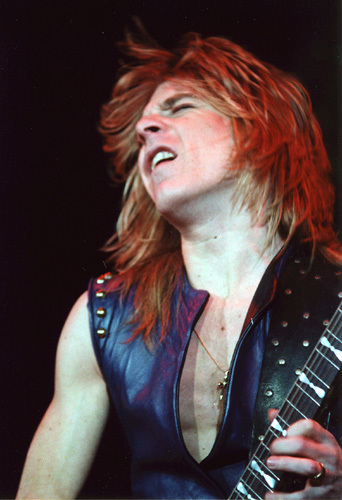 This Randy Rhoads replica guitar strap is made with supple, high quality Black leather and backed with black suede. It measures 3.5 inches wide and is adorned with double head nickel silver rivets in Randy's original design. We create Randy's replica in a full length version using our signature adjustment buckle in a matte black. As with all of our guitar straps, this strap is just as beautiful from the back as it is from the front, and is built to last a lifetime. We have this strap available in our Regular and Long sizes, or you may order a custom size. If you want it created custom, measure a current strap, laid out flat, from the center of one peg-hole to the center of the other peg-hole and supply that number in the text field below. We may have a few in stock, but this is a strap we generally make to order, so give us a week or so to ship on this one! 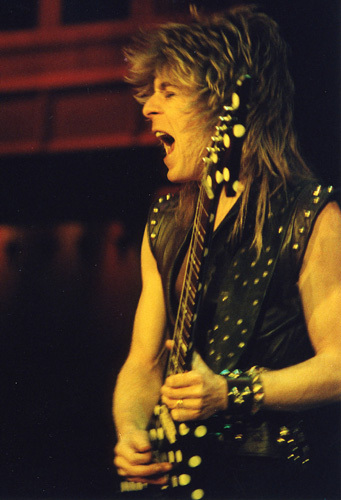 All of our guitar straps are created with top of the line leathers, and are hand-crafted in the US.